Tales from the CryptIn one of the accompanying texts an interesting statement explains the difference between Western and Chinese ghosts - the former are horrifying, evil creatures, the latter sad, grieving remnants of living people. 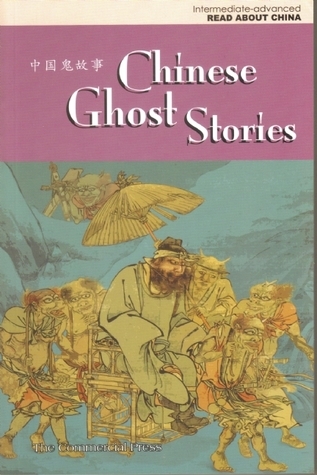 Most of the stories of Pu Songling, the godfather of Chinese supernatural tales, show this to be true, and most of the short fables in this volume are not that different from Pu's style. You'll meet such famous personages like Judge Bao, the White Snake and Zhong Kui, and other tales of the crypt likely known to everybody with at least a passing interest in Chinese culture.Of course, this book is not intended as a literary collection, but a training course for beginning readers of Chinese. For such people, this is a very nice book - simplified characters with added pinyin, multi-syllable words grouped by spacing, a mostly literal English translation (sometimes there are deviations from the exact words, but not really far), not too difficult and not too easy text and a very pretty presentation in general with many pictures and additional information.I love this series, and this volume even more than the other books (like Stories of Famous Chinese Heroes or Chinese Symbols and Icons).